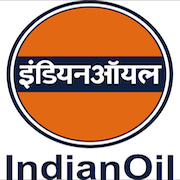 Online Application Details for Indian Oil Corporation Limited IOCL Recruitment of 3 Security Chief is given below. Candidate's minimum education qualification for the Vacancies in Indian Oil Corporation Limited IOCL should be Graduate Degree and have retired from Police service. Application form and duly attested documents are to be sent to Deputy General Manager (HR), Western Region Pipelines, Indian Oil Corporation Ltd., Morbi Road, P.O-Bedipara, Gauridad, Rajkot (Gujarat)-360003. In envelope super scribed with 'Application for the Post of Post Name'.